Artificial intelligence isn’t going to hurt you – or your business. Forget the ill intentions of HAL, Skynet or the Alien franchise’s androids, real-world AI is set to improve every facet of our lives. As the Australian National University launches its Autonomy, Agency and Assurance (3A) Institute to foster innovation in the AI sphere, it’s a good time to look at what the rise of machine learning means for business – and how it is going to shape the leadership of tomorrow. AI is already a core part of many industries, showcasing both its incredible capacity for good and its limitations. A recent piece in the Harvard Business Review highlighted how machine learning improves predictive analytics, allowing financial services businesses to harness unfathomable amounts of data to influence credit approvals and home loan repayments. Artificial intelligence is permeating through much of our world. However, current AI systems are unable to process holistic human impacts, with the HBR giving the example of how different customers would react to having a card decline while on the road, and the impacts that has on a business as a whole. Business decisions will always have human impacts – we are not at a point where AI alone can dictate how an office operates or how a firm sells products. Holistic impacts and emotion-based decision making (for the time being at least) are still very much in the realm of flesh and blood employees. It’s important that all business leaders understand AI is a complement, not a replacement, to the very real value every human employees brings to your workplace. If your workplace is beginning to use AI, it’s crucial to have a clear structure of the role it plays and consider how that impacts your staff. Accenture research shows that managers across the world spend 54 per cent of their time conducting “administrative coordination and control” – think compiling spreadsheets, calculating annual leave, or trawling through an inbox of 300 unread messages for the thirty that are a priority. By incorporating machine learning into a business, leaders can spend more time on human interaction. In the future, AI systems are going to be able to automate nearly all of this, completing day-long tasks in a matter of seconds. This frees up management to focus on jobs that are more rewarding at both a personal and business level: stakeholder engagement (currently 7 per cent of time spent), problem-solving and collaboration (30 per cent) and strategy or innovation (10 per cent). In short – AI can do the menial, labour-intensive admin tasks that consume much of a manager’s day-to-day, shifting the focus of these roles onto growing business and engaging with staff and clients alike. By incorporating machine learning into a business, leaders can spend more time on human interaction. AI is going to replace many people’s jobs, but it will create many more, and enhance those it does not uproot. 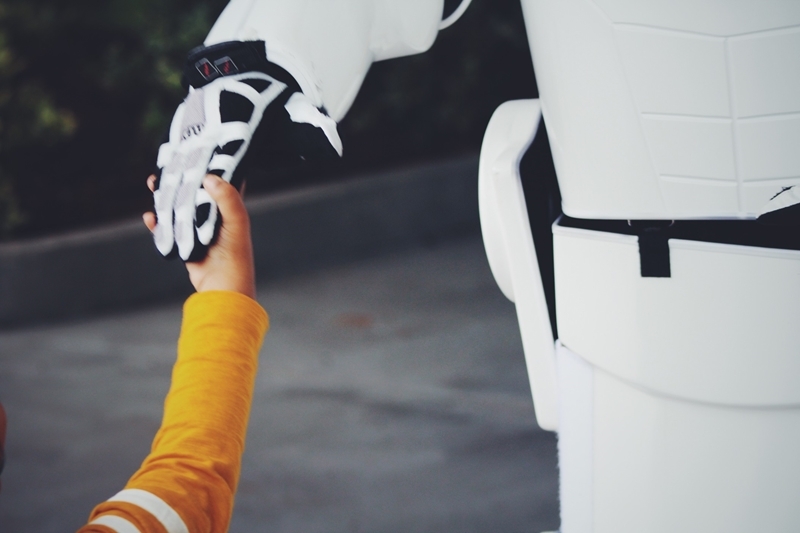 By identifying where AI can benefit your business and embracing the fourth industrial revolution, business leaders can drastically improve the lives of everyone they work with. Can an algorithm handle management complexity?